You are cordially invited to the last LEO drinks for 2017! 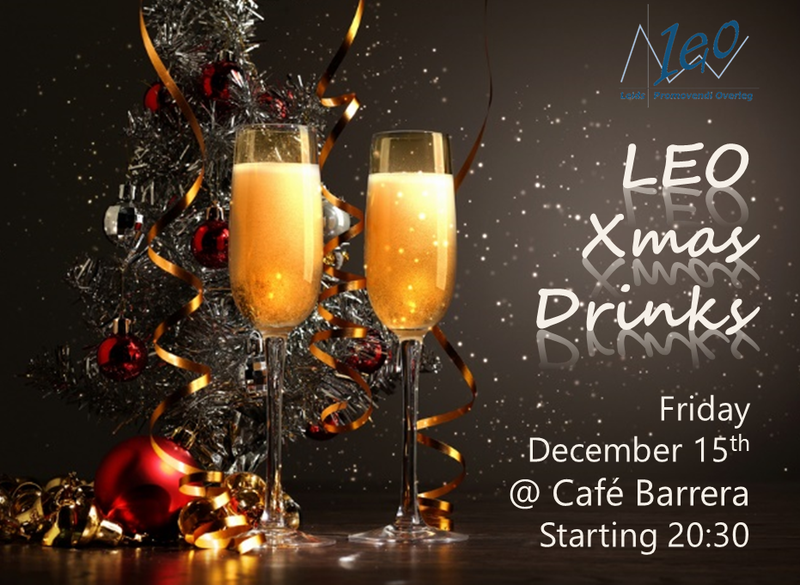 Join us on Friday, December 15th at cafe Barrera, from 20:30 onward. We will provide Xmas cookies, sweets, chocolate and of course beer! As always, the first drink is on us, so ask for your drink voucher from one of the LEO board members.